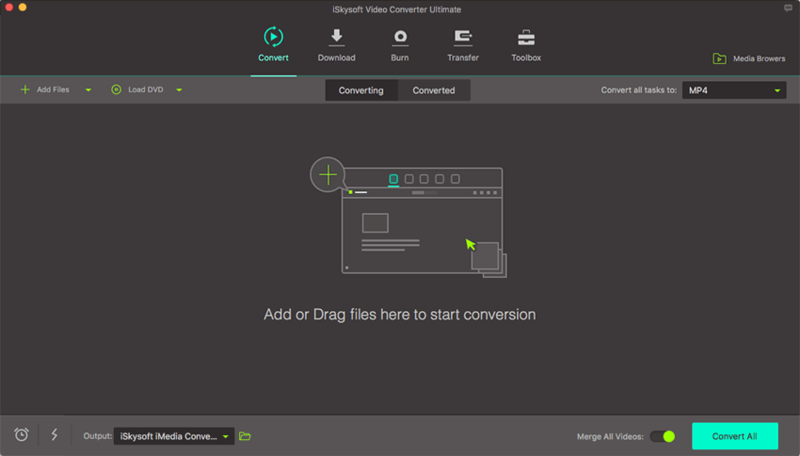 In addition to be a professional video converting software, iSkysoft Video Converter Ultimate is also equipped with video editing tools. Now you can learn how to crop or rotate videos on Mac with step-by-step guide. After running the software, you need to import your videos for editing. To achieve that, drag and drop your video to the program or click the "Add Files" button in the Convert tab. Go to the editing window by clicking the editing icons under each video. Crop Video: Under the video click the second icon which means Crop video. In the pop-up window, adjust handles to resize the crop area. Click “OK” to save settings. 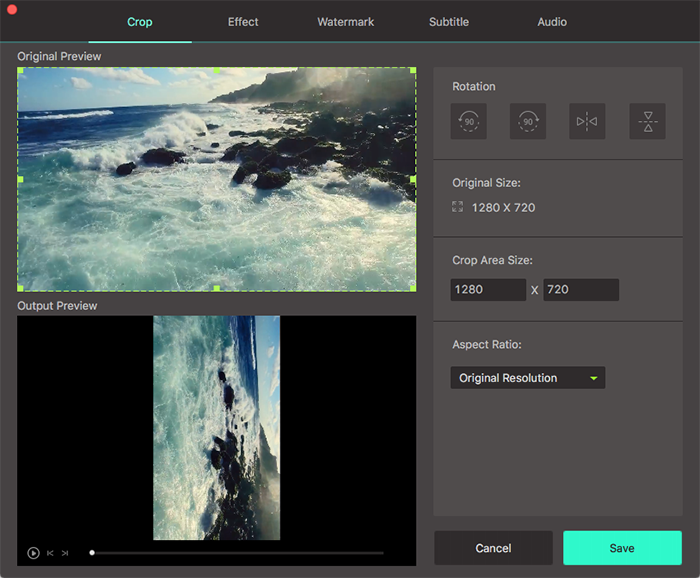 You can use the Aspect Ratio option to crop video in desired aspect ratio conveniently. 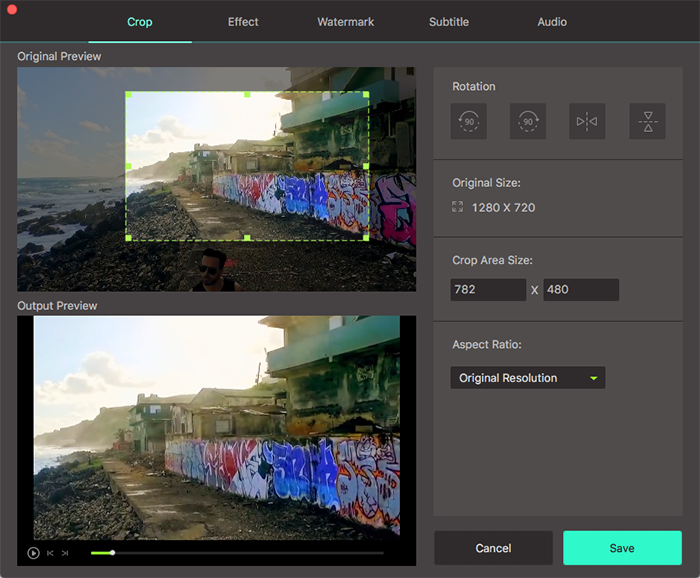 Now you can directly export your video by clicking “Convert” or "Convert All" button after selecting the output format. By the way, you can change the output folder for easy access to the edited video from "Preference" > "Location".